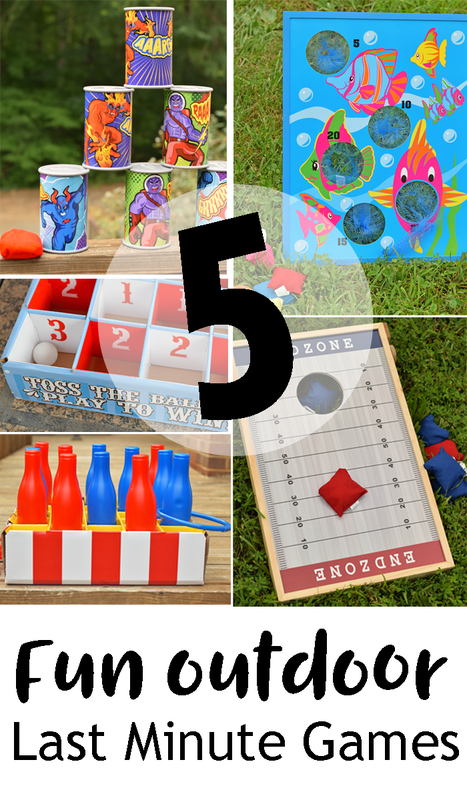 Here are 5 Fun Outdoor Last Minute Games for your next party or get together. Oriental Trading sent me the product for review for this post. A thank you to them for being a go-to site for reasonably priced games, prizes, and crafts for kids! Summer is all about those impromptu gatherings. Backyard barbecues thrown together within a few hours notice somehow turn out to be the most memorable sometimes. Anytime there are a group of kids around, it is a good idea to have a few outdoor games on hand. Grab a few household items to create these games, or stay prepared always for the younger age group by ordering ready made games from Oriental Trading. –Can Bean Bag Toss// Apparently, this game has been around for ages. My husband informed me that when he and his brother were kids, they would grab empty cans and rocks to set on a ledge. 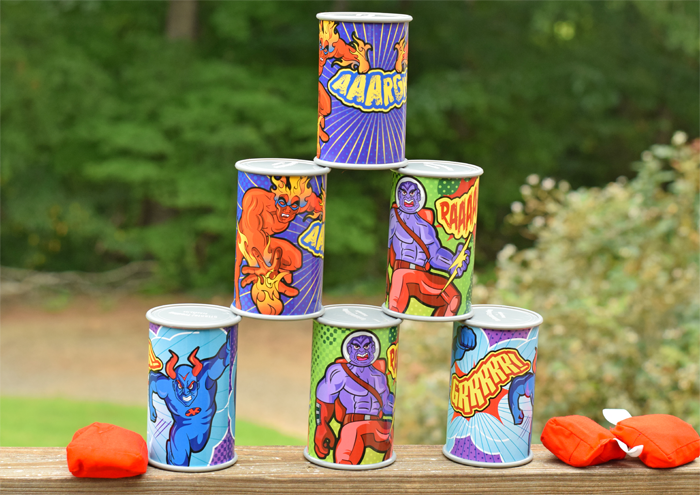 They would compete to see who could knock the cans off the quickest. Growing up with only a sister, we never thought to do that. Substitute the rocks for bean bags, and a Can Bean Bag Toss is a fun outdoor game to pass the time. –Corn Hole// Corn hole is a popular past time. 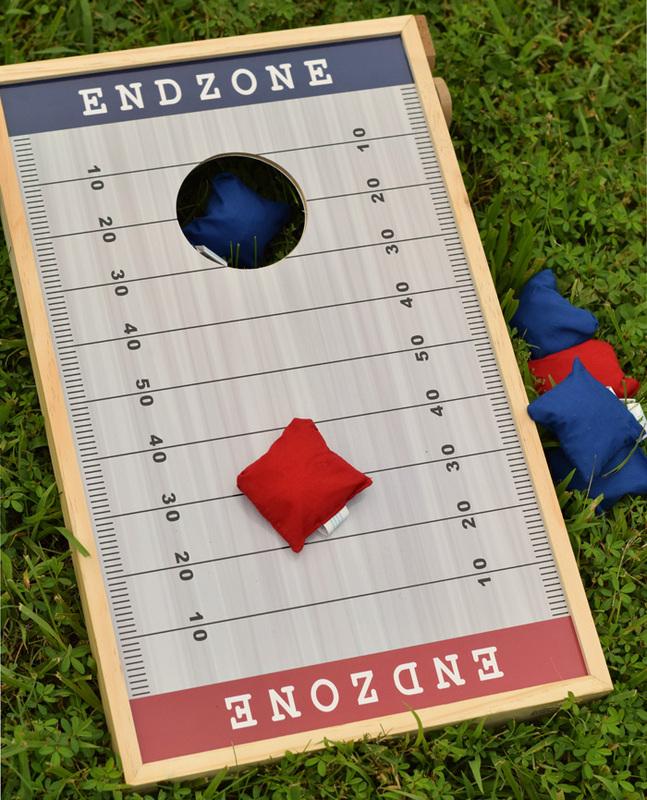 Many people already have corn hole boards at their home or know a friend who does. 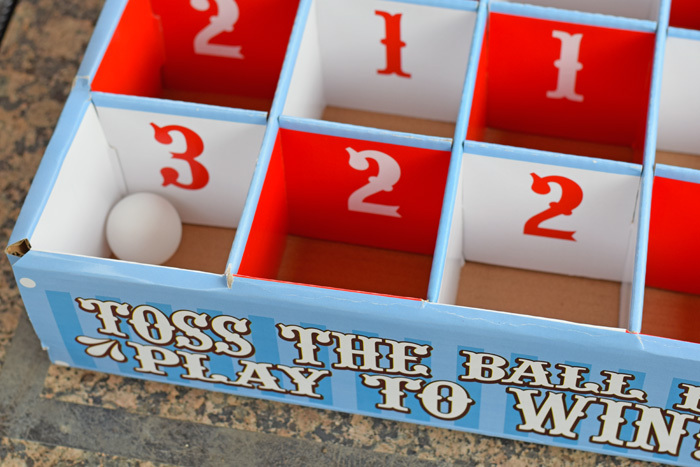 This fun one from Oriental Trading has corn hole on one side and tic tac toe on the other. 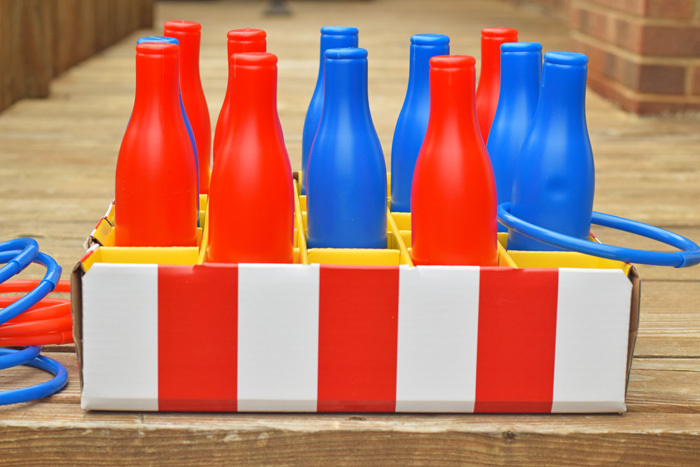 –Bottle Ring Toss// Save a few old bottles for a fun carnival game. –Table Tennis// Turn any outdoor table into a table tennis game with this fun game. 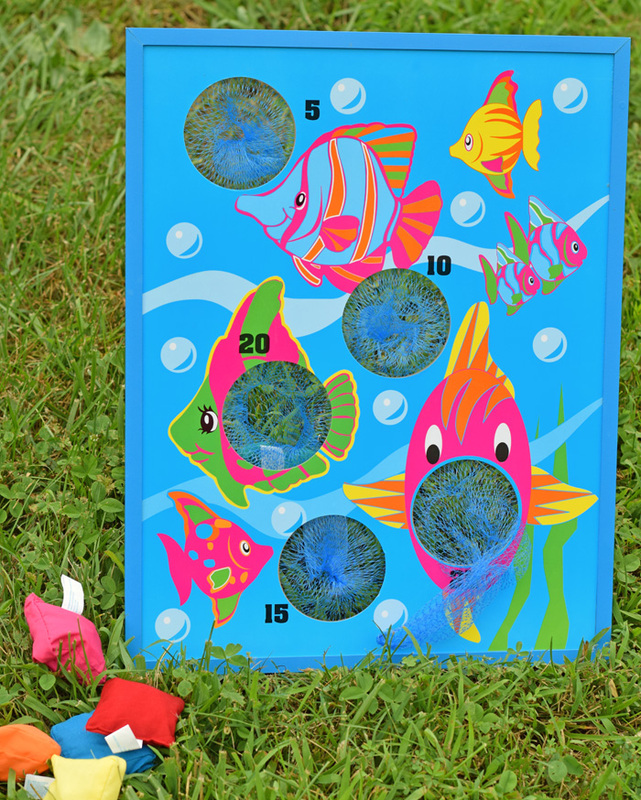 –Bean Bag Toss// My kids have always liked bean bag toss games. We use this one with VBS and children’s church. It folds up flat for storage, which is quite convenient. Alternatively, use sidewalk chalk or spray chalk to create circles on the ground for the kids to toss bean bags. We have VBS coming up at our church in a few weeks, and I will be taking a few of these to fill up spare minutes during my husband’s music class. They also make great rainy day games! Great fun ideas for taking to the caravan! My daughter and grandson are coming over from Northern Ireland and we are going to St. Andrews for a few weeks….and these games are ‘just the ticket’ . They’ll have great fun….so will I !! !